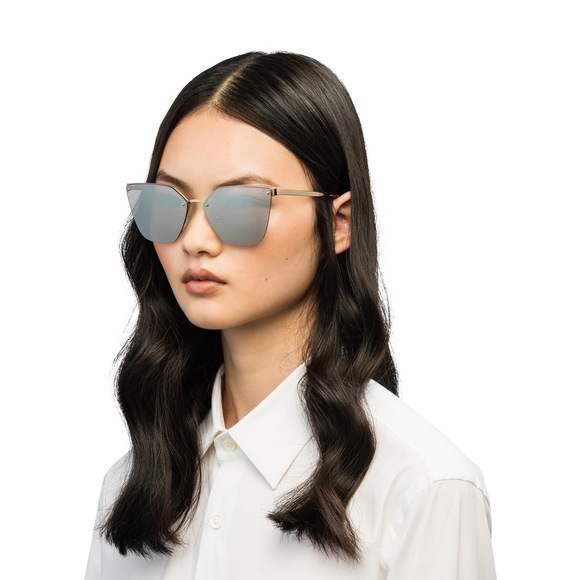 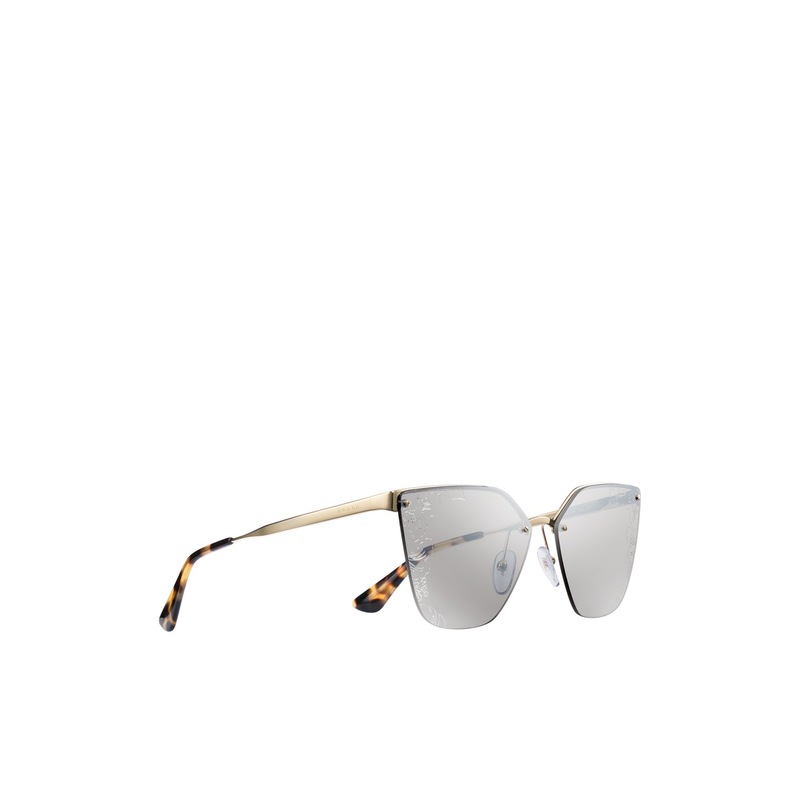 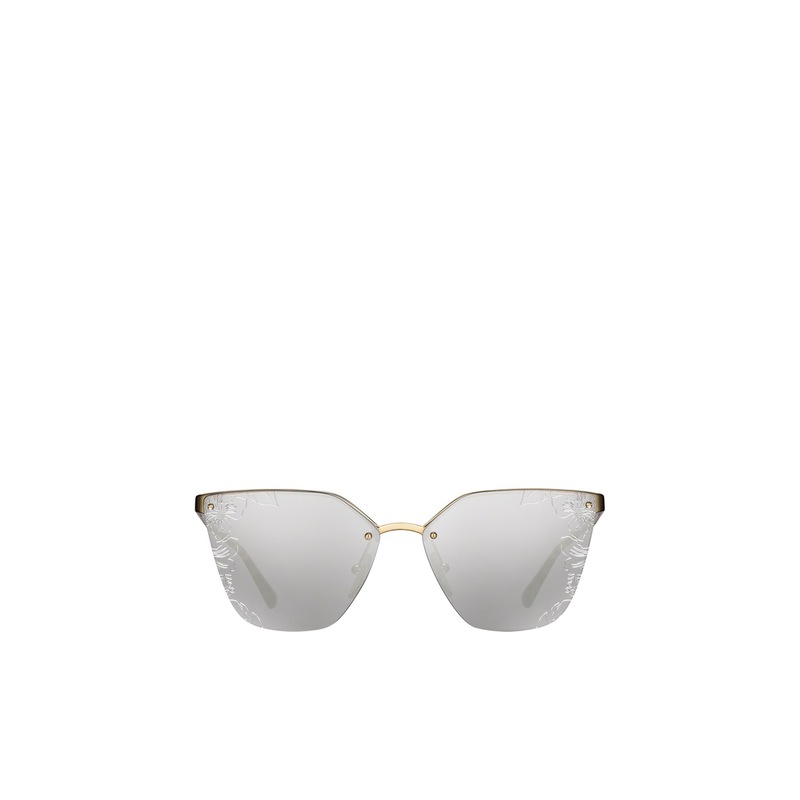 Sunglasses with a distinctive, irregularly shaped design. 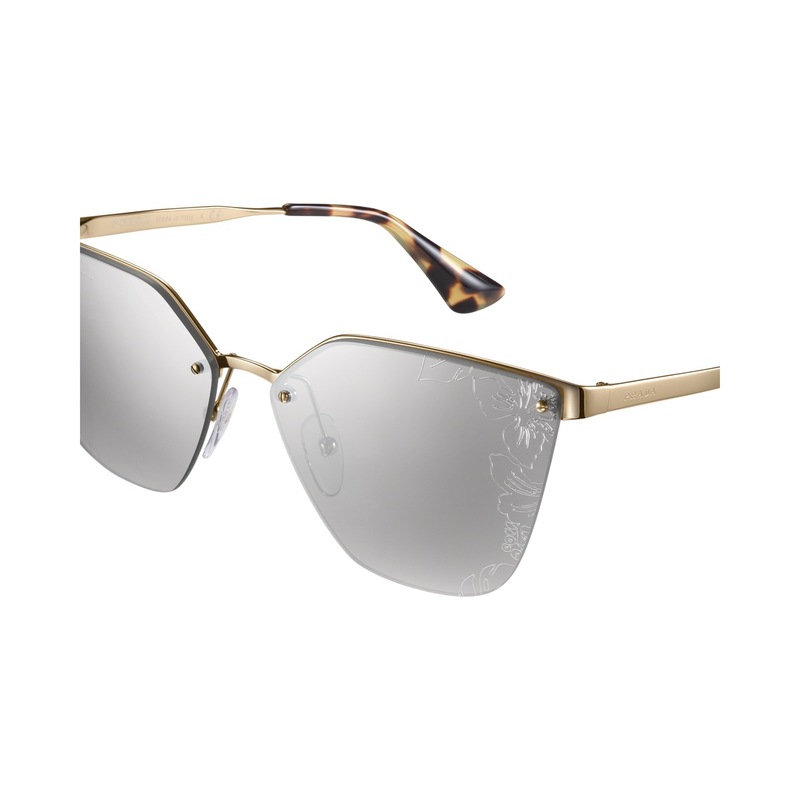 Ultra-flat rimless lenses with the iconic Hibiscus design directly applied to the metal brow bar of the frame front. Cinéma temples engraved with the Prada lettering logo.